Window shade installation is best left to a professional. 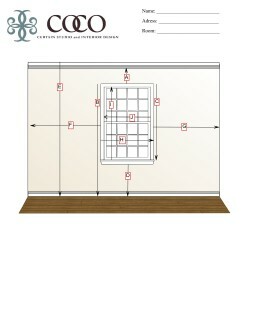 See our suggestions on window measuring under the “Window Treatment” heading. Remember to follow the tips below. Use a metal measuring tape, not a ruler or cloth measuring tape. Write your measurements on the form provided and double-check them! Inside mounting allows the window treatment to hang inside the frame of your window. Check the depth so that you can be sure the mounting board will fit. A slight overhang may be acceptable. Too large an overhang may indicate an insufficient mounting area.